Draft provisions for the forthcoming Finance Bill have been published. A wide range of business and personal tax changes is included. We can expect more to be added at the Autumn Budget, probably in November. While others basked in the weekend sunshine, Donald Drysdale took a preliminary look at some key Finance Bill proposals. 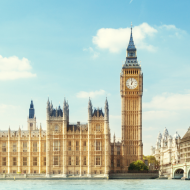 On 6 July the Government published draft clauses for the Finance (No 3) Bill 2017-19 which will likely become Finance Act 2019. HMRC refer to it as the Finance Bill 2018-19. The 226-page Bill and its 143 pages of explanatory notes are short by recent standards. We can expect more to be added at the Autumn Budget, probably in November. An updated summary of the status of tax policy consultations has also been released. This draft legislation is out for consultation until 31 August, and the ICAS team and tax committees will be examining it to ensure that it is technically sound and will do what it sets out to do. Views are welcome and should be emailed to the tax team. Following reform of the corporation tax loss relief rules in 2017, further changes are expected. From 6 July 2018, the operation of the loss relief provisions for life assurance and annuity business is modified. From 1 April 2019, technical changes will be made to the deductions allowance for group members and the rules for terminal relief, transfers of trade without change of ownership, and oil and gas losses. From 1 January 2019 the Controlled Foreign Companies (CFCs) regime will be modified to comply with the EU Anti Tax Avoidance Directive (ATAD). All associated enterprises will be taken into account in determining control, and non-trade finance profits generated by UK ‘significant people functions’ will be excluded from the finance company rules. Technical amendments will be made to the corporate interest restriction rules, mostly from 1 January 2019. Changes will be made from 1 January 2020 to ensure that the UK hybrid and other mismatch rules are fully compliant with ATAD. Changes will be made from 1 January 2020 to the mechanisms for deferring exit charges when companies or assets move within the EU or European Economic Area (EEA). A new market value rule will apply to assets coming within the charge to UK corporation tax from an EU or EEA state that applies ATAD. Entities applying IFRSs or FRS 101 must adopt IFRS 16 for periods of account beginning on or after 1 January 2019, changing the accounting treatment of leases, mainly for lessees. To accommodate this there will be changes to tax rules on long funding leases, the corporate interest restriction, and other provisions relating to finance leases including those for hire purchase, oil activities, Real Estate Investment Trusts and the sale of lessors. Where these change the basis of taxation, new rules will require any resulting transitional adjustment to be spread over the average remaining length of leases giving rise to it. To avoid discouraging entrepreneurs from seeking external investment to finance business growth, new provisions will apply from 6 April 2019 to allow individuals to make two elections in specified circumstances. Where a company issues shares for cash consideration for genuine commercial purposes, reducing the individual’s shareholding below the 5% ‘personal company’ threshold, the individual will be able to elect to treat their holding as disposed of and immediately reacquired at market value prior to dilution, creating a capital gain on which they can claim entrepreneurs’ relief. A second election will allow them to defer the gain until an actual disposal. The new legislation will specify how deferred gains are treated as accruing in specific circumstances, and how entrepreneurs’ relief will arise on the deferred gain. The VAT interest rules for late payments and late repayments will change from 1 April 2020, becoming similar to the current arrangements for corporation tax and income tax self assessment. Following consultations on Making Tax Digital, a new two-tiered penalty model for individuals and businesses failing to pay their tax liabilities on time will be implemented in stages. This will begin with VAT from 1 April 2020 and then extend to corporation tax and income tax self assessment. The Government plans to extend it to other taxes and duties later. A first penalty, payable 30 days after the tax becomes due, will depend upon what payments are made or what Time to Pay (TTP) arrangements are agreed during the first 15 or the next 15 of those 30 days. A second penalty will apply from day 31 until the balance is paid in full, but any TTP agreed during this period will result in future penalties being suspended from the date the TTP was agreed. For purchasers of land in England and Northern Ireland on or after 1 March 2019, the time limit for filing an SDLT return and paying the tax due will be reduced from 30 days to 14 days. From 6 April 2020, non-resident companies will pay corporation tax rather than income tax on UK property income. 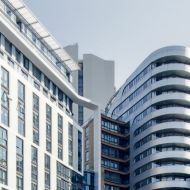 Existing rules for taxing non-UK residents on disposals of interests in residential UK property will be extended from 6 April 2019 to disposals of interests in any type of UK land, and will also apply to indirect disposals of interests in property-rich entities (except where the land is used in trading before and after the disposal). This will also extend the charge on gains on disposals of interests in residential property to diversely held companies, those widely held funds not previously included, and life assurance companies. Anti-forestalling already targets arrangements made from 22 November 2017 that seek to gain advantage by using double tax treaties. A new targeted anti-avoidance rule will counter arrangements made from 6 July 2018 that seek to circumvent the indirect disposals rules. This new draft legislation for taxing non-residents’ gains is complex, running to 64 pages. But in a welcome simplification for those with UK residential property subject to the Annual Tax on Enveloped Dwellings (ATED), the provisions on ATED-related gains will be repealed. When a non-UK resident disposes of UK residential property, existing rules require them to submit a return and pay any tax due within 30 days after completion of the disposal. This has proved controversial because many overseas taxpayers have failed to comply on time because of lack of awareness. Where a UK resident makes such a disposal and is liable to tax, e.g. on a second home or a buy-to-let property, the deadline for the return and payment is generally 31 January following the end of the tax year; however, from 6 April 2020 the return and a payment to account will be required 30 days after completion. From 6 April 2018, charging facilities and electricity provided to employees recharging all-electric or plug-in hybrid vehicles at or near their workplace are to be exempt from income tax and NICs where facilities are made available generally to the employer’s employees. For employees who drive emergency vehicles, changes backdated to 6 April 2017 will allow ordinary commuting in the vehicle when not on-call, and in certain circumstances will ignore fuel as an ‘additional expense’ for tax purposes; and new transitional arrangements will apply for the period from 6 April 2017 to 5 April 2020. From 1 April 2019, purpose-built zero-emission-capable taxis costing over £40,000 will be exempt from the vehicle excise duty supplement that would otherwise apply. The Gift Aid rules limiting ‘donor benefits’ from charities will be simplified from 6 April 2019. Where a gift from an individual or a payment by a company does not exceed £100, the benefit restriction is 25% of that amount. For gifts and payments exceeding £100, the benefit restriction will be £25 plus 5% of that excess, subject to the overall benefit restriction unchanged at £2,500. Nominated charities may also benefit under new relaxations to the tax rules for employer-provided death-in-service life assurance or pension benefits from 6 April 2019. From 6 April 2019, those who claim rent-a-room relief must share occupancy of the residence in question for all or part of the period of occupation which gives rise to the rent receipts. This will defeat claims by owners who let out their entire property - whether directly or through platforms such as Airbnb. For Chancellor Philip Hammond and the Government he represents, much uncertainty exists. Consultations on various tax changes are ongoing. We expect tax hikes to pay for the NHS, and the way to a final Brexit deal is still unclear. It seems probable that the draft Finance Bill will grow longer by the autumn.